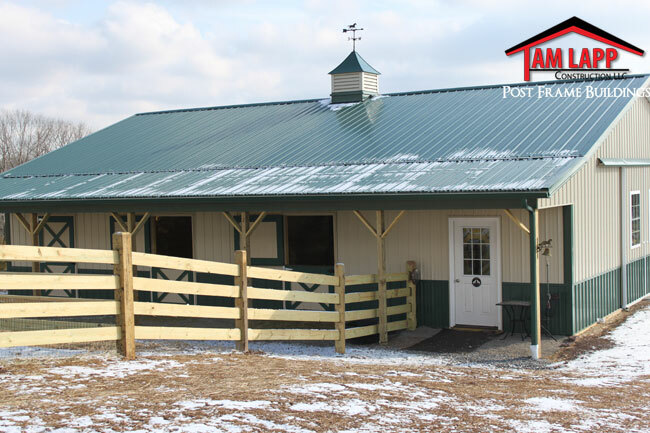 (1)- 10’Wx48’L _ 4×6 PT Posts 9’ 7” O.C_ Treated Y Bracing at Posts. 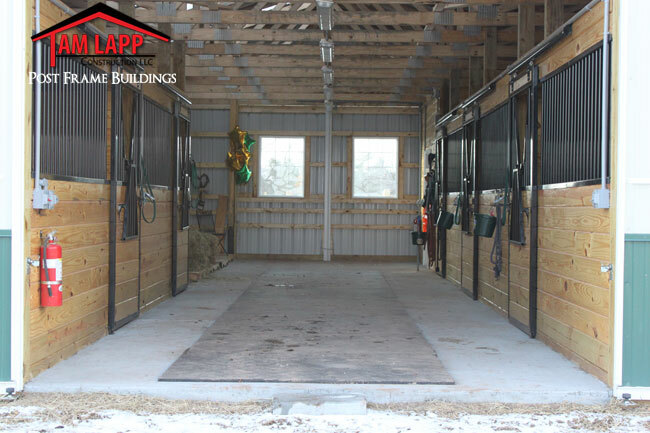 Entry Doors: (2)- 36” 6 Panel Exterior & Interior of Tack Room (5)- 4’Wx7’H Steel Dutch Doors. 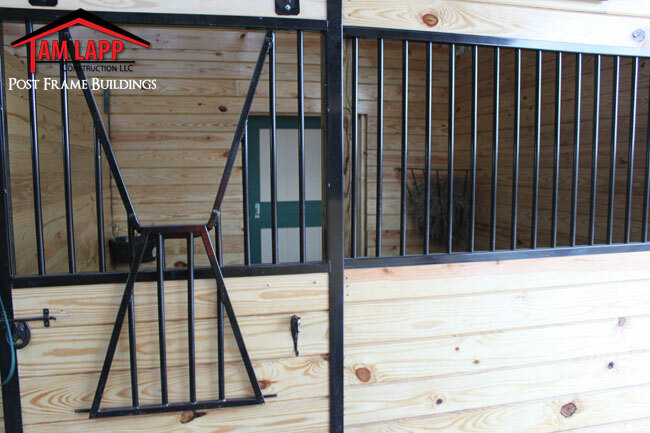 Horse Stalls: (5)- 12’x12’ _ (1) 12’x12’ Tack Room w/36” Entry Door_ Special Order “Clip Down Yoke” Style Stall. 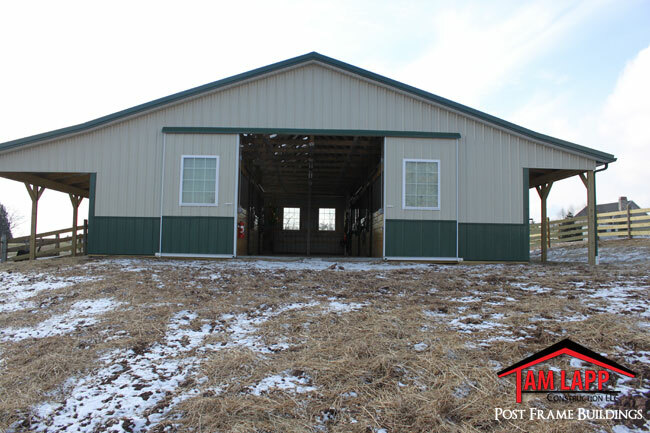 Split Sliding Doors: (2)- 12’Wx10’H w/ (2)-3’x4’ Windows Each_ White Frame & Non-Insulated. 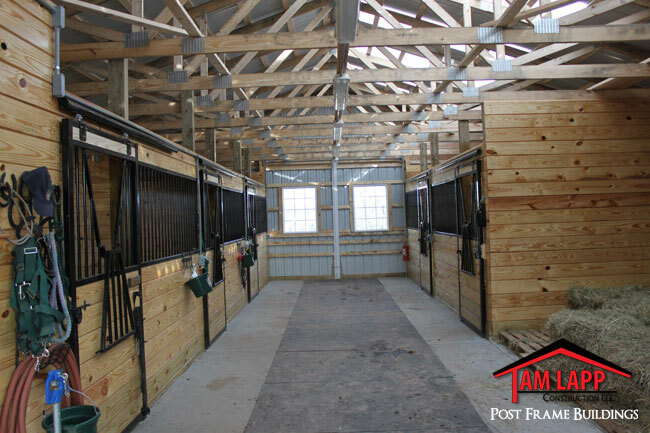 4” Concrete Floor w/4” Stone base: 12’x48’ Aisle Way_ 12’x24’ Hay Storage Area_ 12’x12’ Tack Room. 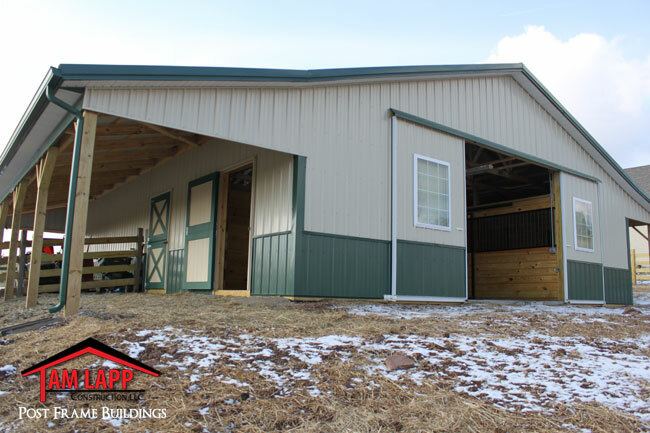 If you need a reference in our neck of the woods or have a prospective client that would like to see your work, we would love to help out. 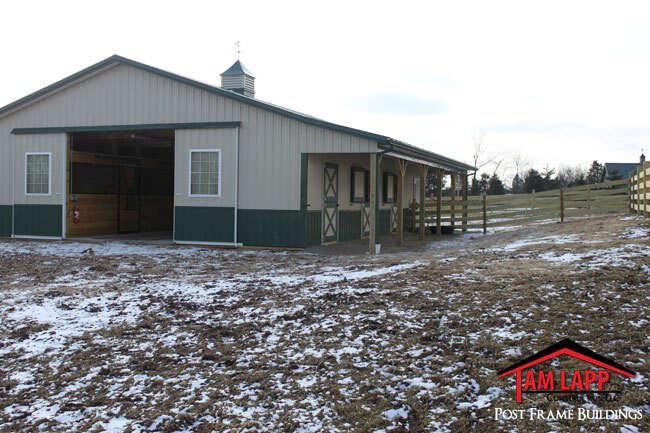 We are very pleased with how our barn turned out.